Glass Bottle Washing Machine- Buy Product on Zhangjiagang Modern Machinery Co., Ltd. 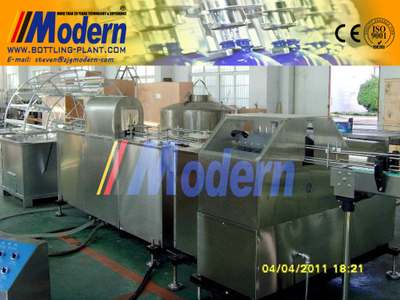 The Glass Bottle Washing Machine consists of inside bottle washer, auxiliary device of getting rig of label and steeper. 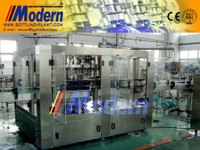 It has advantages of safe, reliable, high efficiency, lower broken rate of bottle and so on. Glass Bottle Washing Machine is an ideal choice of washing crown-cap glass bottles for drink and beer factories. Zhangjiagang Modern Machinery specialize in manufacturing different sort of glass bottle washing machine, bottle cleaning machine and bottle washer. These machines are considered highly efficient and save labor and time at the same time. Inside and outside brushing are for the wonderful washing of bottles. Glass bottle Washing Machine is greatly helpful for pharmaceutical industry and even liquid filling industry. All of our product line is highly admired by our clients just for quality as well as affordable price. The Automatic Bottle Washer has been designed as well as developed for washing 200ml-1250ml bottles. A perfect compartmentalised machine, it has different wash stages. 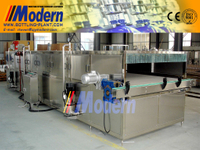 The machine is created of stainless steel, is strong and can withstand the vigour’s of constant use. The distinctive design makes sure for easy layman usage as well as maintenance.True to our unique design code of addressing the primary requirements of our clients, this glass bottle washing machine is compact, reasonable and energy efficient.Just check out the whole list of hi-tech bottle washer at Zhangjiagang Modern Machinery Co., Ltd!